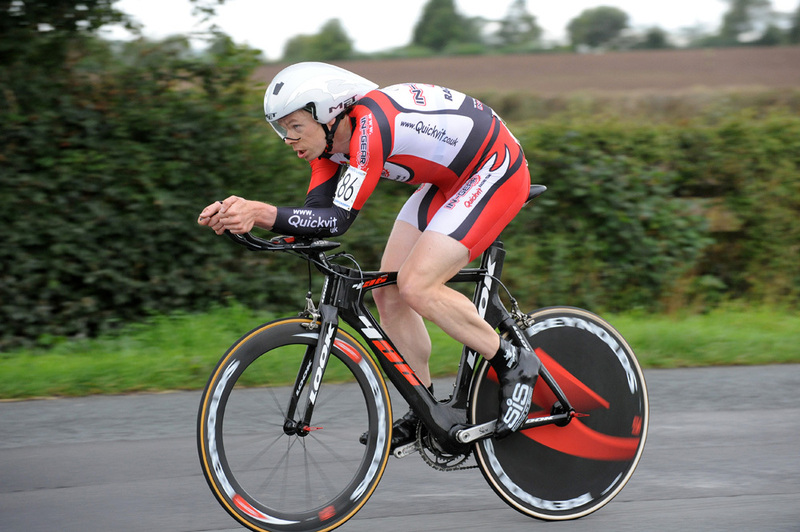 Michael Hutchinson claimed his third British Time Trial Championship title with a convincing victory in Gloucestershire on Sunday. The In Gear-Quickvit rider won by 1-22 from Sigma Sport RT rival Wouter Sybrandy, his time of 44min 49sec being good enough to add to the victories he claimed in 2002 and 2004. Twenty Four hours earlier the event had been in doubt with heavy rain and flash flooding wreaking havoc across the course. But some hectic re-planning by the organisers saved the event, albeit on a shortened course which missed out some of the worst affected areas. The senior event used a 22-mile course run off over three laps of a circuit, and Hutchinson was the only man under 45 minutes for the distance. Sybrandy took second spot by just seven seconds, while the podium was completed by De Rosa RT rider Matt Bottrill, who clocked 46min 18sec. 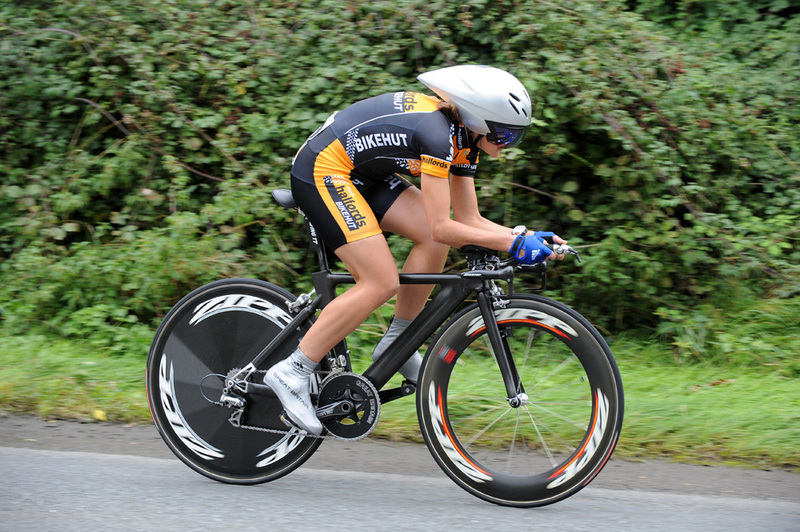 Halfords Bikehut rider Sharon Laws was penalised ten seconds for cutting a corner of the women?s 14.7-mile course, but it mattered little as she still took gold by 19 seconds from In Gear-Quickvit RT rival Julia Shaw, who was aiming to make it a one-two for their team. She settled for second while Laws? team-mate Jessica Allen took third, another two seconds off the pace. Arctic Premier RT?s Danny Axford won the Masters? A category with 30-45 for the shortened two-lap course, while Ben Instone (Scientific Coaching) proved a convincing winner of the Masters B category with expected challenger Kevin Dawson (Sportscover.com) failing to start. Instone clocked 30-48, and was just five seconds faster than Masters C winner Richard Prebble (GS Strada), the former national 100-mile champion. But the fastest times over the two-lap course came from the younger riders, with Alex Dowsett (100 per cent ME) clocking 29min 9sec to take the espoirs title, while Glendene CC?s Joe Perrett won the junior event with 30min 32sec. Espoirs.- Alex Dowsett (100 Per Cent ME) 29-09. Masters A.- Danny Axford (Arctic Premier RT) 30-45. Masters B.- Ben Instone (Scientific Coaching) 30-48. Masters C.- Richard Prebble (GS Strada) 30-53. Masters D.- Kevin Tye (ODLS.com) 31-48. Masters E.- David Pollard (In Gear-Quickvit RT) 32-21. Masters F.- John Herring (Leamington C&AC) 34-06. Masters G.- Tony Farrell (Manchester & North West Veterans) 34-22. Masters H.- Roger Iddles (Stourbridge Velo) 33-58. Masters I.- Derek Hodgins (Stockport Clarion) 37-58. Juniors.- Joe Perrett (Glendene CC) 30-32. Girls.- Hannah Barnes (Palmer Park Velo) 35-59.